The John Taylor and Sons Company with the co-operation of the O’Donnell brothers, Dr T J O’Donnell and J D O’Donnell, established a well equipped hospital in 1880, to cater to the medical needs and emergencies of the miners and their families. It was centrally located in Champion Reefs. Dr T J O’Donnell was the first Chief Medical Officer of the Hospital and served as the CMO for more than 25 years. The hospital was staffed with eminent British and Indian doctors and British and Anglo-Indian nurses. The hospital wards were named after the erstwhile British bosses such as Gideon Ward, Henry’s Ward, Morgan ward, etc.. Medical Treatment was provided free of cost for the miners and their families. A well maintained Maternity Unit was also later established in a separate wing of the Hospital. The Mining Hospital slowly gained the distinction of being the best hospital in the whole of the Kolar district. 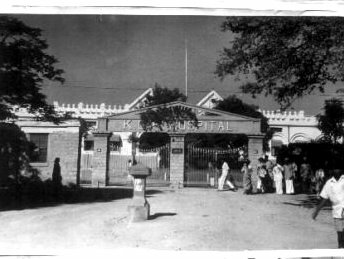 This Mining Company Hospital was later recognized by the Indian Medical Council as a reputed center for the treatment of Occupational Diseases, such as Tuberculosis, Silicosis, etc. 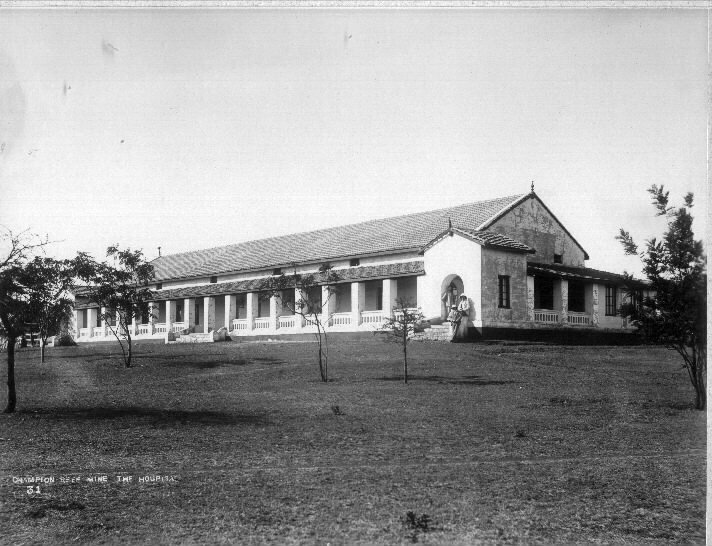 This photograph of the Hospital was taken in 1930. As with all other aspects of KGF, there was a small legend attached to the Mining Hospital as well. 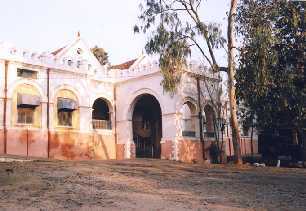 The legend states that the British built a small temple dedicated to the Goddess Mariamma at the side of the Hospital. She was considered to be the Goddess of Small Pox and Chicken Pox as well as other summer heat related diseases such as measles and mumps. The workers prevailed upon the British owners of the Company to build this small temple near the hospital to appease the Goddess and seek her blessings, so that she wouldn’t get angry at being deprived of curing people without medicines!!! People visiting the hospital would visit the temple and pray to her to look after their family members who were ill in hospital. Today this Hospital with its once expensive equipment and more than 200 beds has been shut. Most of the medical equipment has been stolen. The hospital wards named after the erstwhile British bosses such as Gideon Ward, Henry’s Ward, Morgan ward, etc., are completely denuded of the beds and furniture and the hospital now resembles a haunted building, and is slowly falling down in parts. Its so sad to think that “This Hospital” which was once the best hospital in the whole Kolar District which saved the lives of so many people has now died.